M/T Tärnfors is an 8245 DWT Product/Chemical Carrier and built 1998 in Shanghai. Tärnfors is 115.1m long and 18,53m wide. She loads 8988 m³ (98%). She have 10 WT + 2 slop tanks. She's a double skin tanker with ballast capacity 3838m³. She takes 422m³ heavy fuel and she consumes 14 tons/ day. 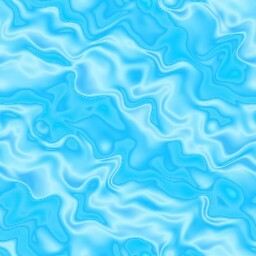 Speed 80%: Loaded 14Knots. 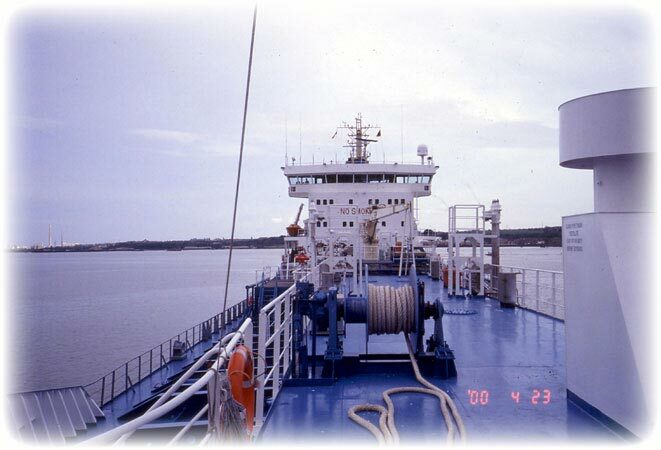 She takes 145m³ diesel oil for the auxiliary engines. She have 1 hydraulically driven Frank Mohn (FRAMO) cargo pump in each tank. Cargo and system remote monitored by computers (Autronica) from cargo control room. Cargo monitoring system type GL-90. Closed loading system (acc. to SOLAS 74/8 reg. 59) by vapour return lines, high-high level alarms and remote temperature and pressure readout in the cargo control room. 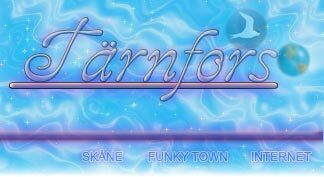 I was going to work on Tärnfors as 2nd Officer. 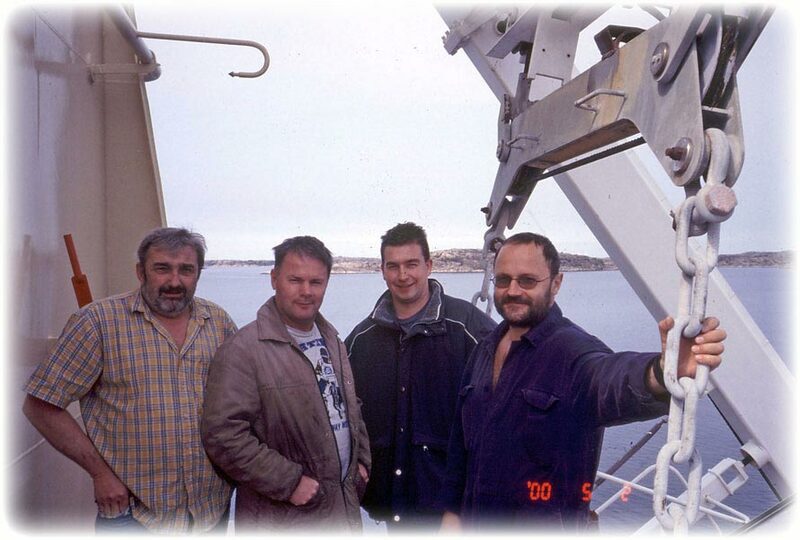 I signed on M/T Tärnfors in Brofjorden 26 March 2000. I signed off M/T Tärnland when they were loading in Brofjorden. M/T Tärnfors was waiting for our jetty on the anchorage. So when Tärnland was ready and left Tärnfors was secured alongside the jetty 10 minutes after and I signed on. No travel expenses for the company. My reliever came to Brofjorden in the afternoon the day before. So I could go in to Lysekil and have a few beers with the Motorman. I slept in the owner's cabin. It usually take some time to load in Brofjorden, but this time they were trying to break a record, so they called me early in the morning. No time for lolling around in bed, they were about to leave Brofjorden. I went down on the jetty and waved good bye and Bon Voyage when Tärnland left for new adventures without me. Tärnfors had all fast at the same jetty about 10 minutes after Tärnland's departure and I was on my new ship. The 2nd Officer onboard stayed with me for a few days before he went home. A few days were enough to show me the ship. When we finished loading in Brofjorden we left for Copenhagen. After Copenhagen we went to Kalundborg, Denmark and the 2nd Officer signed off the ship and went home leaving me all by lonesome. I don't remember, but I think we left for Mongstad, Norway after Kalundborg. 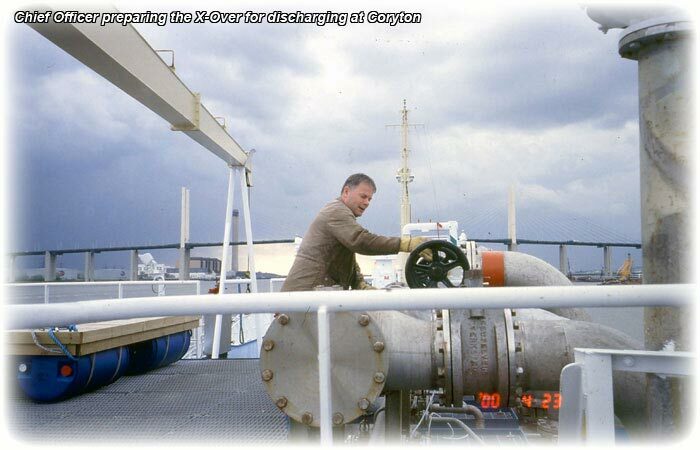 I also remember that we discharged in Coryton, it's a place up the river Thames in the outskirts of London. Its a few hours with pilot up the river Thames. The Seaman's Church in London came onboard with Swedish newspaper so we could read the latest news from Skåne. 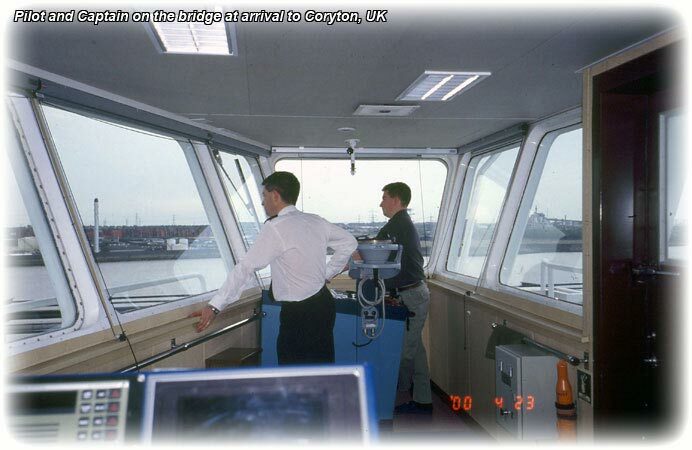 But as this is 10 years ago I don't remember any other ports than Coryton, Kalundborg, Copenhagen and Brofjorden. But I will always remember the spring of 2000 as a very nice one. April and May was like in the middle of the summer with temperature reaching 30°C. Record breaking temperatures for the spring of 2000. We had a very good Cook onboard, he made all the stuff I liked. Kålpudding and with the Cargo Control room next to the mess room and kitchen wasn't any good for my diet. I could smell the food and the good smell made me hungry. And with my poor self control I used to dash in to the mess room for a plate. The rest of the crew had their meal in the mess room so I had to pretend that the food was for someone else. I was yelling towards the CCR in hope that they would believe that I took the food for the Surveyor or some visitor in the CCR. - 2 POTATOES IS NOT ENOUGH? - DO YOU WANT GRAVY? 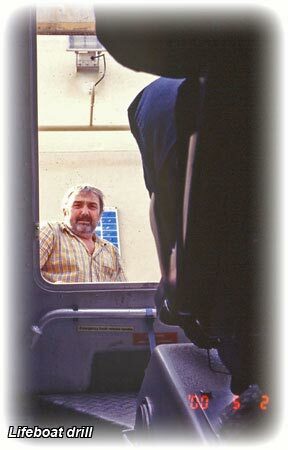 Of course, the crew didn't believe that there were someone in the CCR and they were only laughing at me. I spent the Easter onboard and our Cook had heaps of cakes and candy. Every time we had finished a bowl of candy we were hoping that it was the last, but the bowl was soon full again. Captain and I had cake and Danish pastries on the bridge every day. I need to sign off or I will look like a balloon. 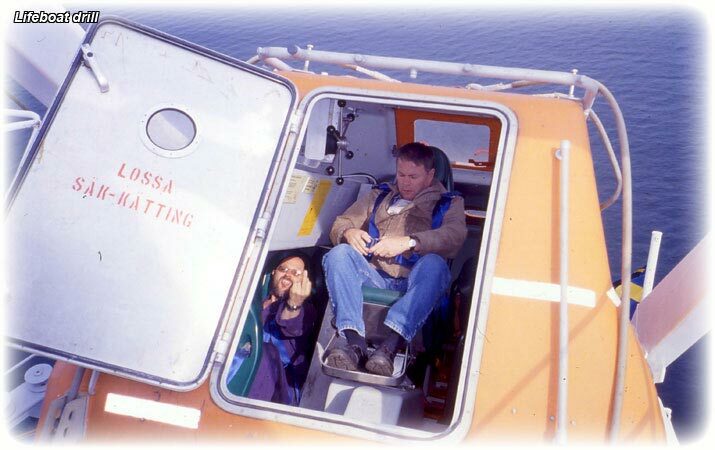 We had time to have a lifeboat drill when we waited at the anchorage for our jetty in Brofjorden. We launched the lifeboat and manoeuvred the lifeboat. Everything was working as it should. The lifeboat should be launched and manoeuvred every 3 months. So we take the opportunity to do it when we are waiting at some anchorage. It is also depending on the weather. We don't want to do this in full storm as you understand. Between 1998 and 2002 they had a show called Pippirull on Swedish radio. And our Captain and I loved the show so Captain was always on the bridge during the show. We were drinking tea eating Danish pastries while listening to the show, yet another setback for my diet. The time run fly when you have a good time and it was time to sign off Tärnfors in Gothenburg 4th of May. 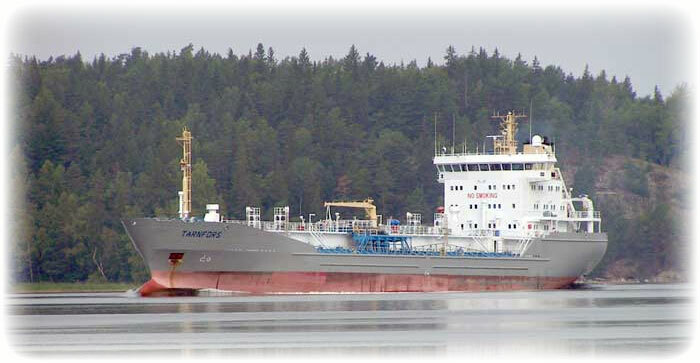 They called me from Tärntank and they asked me if I could sign on M/T Tärnland as Chief Officer in the beginning of June.